The folks at Sterling Publishing sent me a review copy of Joshua Bernstein's (Brewed Awakening) new book. I was excited to receive it and was looking forward to giving it a close read and careful review. The conceit is that you walk through it like you might through a ten-week beer education course, and Joshua acts as your chatty guide, pointing out the subtleties of flavor and style as you go along. But when I cracked it open I realized I was going to be useless as a reviewer. The design of the book is slightly artificial, though. Really, what Complete Beer Course amounts to is an overview of beer. 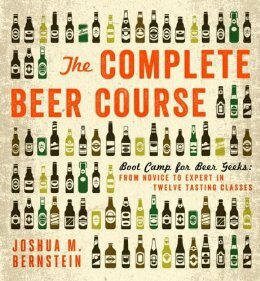 Joshua organized it so that ten of the dozen chapters focuses on beer style, and the first and last give you the basics about how beer is made, beer flavor and aroma--and appreciating them--serving beer, and pairing it with food. 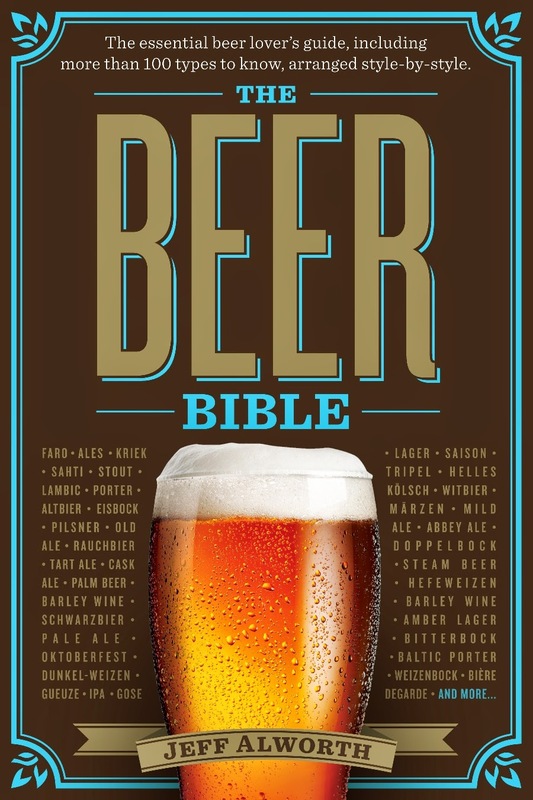 In essence, almost the identical material I covered in writing the Beer Bible. They're very different books, but Joshua has had to pore through the same material I did and make the same ten thousand decision about how to organize and present a narrative. This is one of the hidden dynamics behind any book. The author presents material as if it's a kind of enduring truth. In 1842, Josef Groll brewed a pale lager in Pilsen, Bohemia. Hops are actually bines, not vines. Lactobacillus is the same bacteria that sours milk. It's misleading, though. What the author actually has to do is take a collection of material that collectively constitutes knowledge, distill it, and present it in a meaningful way. A writer--a good writer, anyway--will see in the bare facts of Josef Groll's story an opportunity to describe something essential about the hinge of history that swung from those first batches of pale lager. It's a story but also a metaphor. And the way Bernstein tells the story is different from the way I did (though you'll have to wait another year before you can compare them side-by-side). 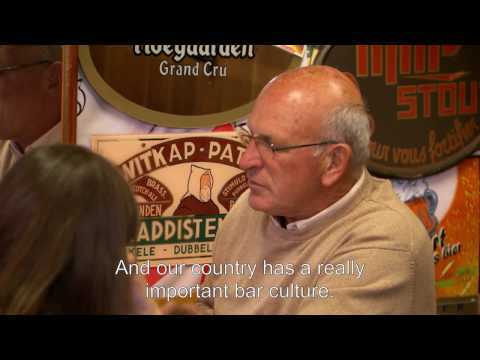 Beyond the storytelling aspect, there are a million other tiny decisions he made that I also considered, like the right temperature to serve a beer, which beer represents the world classic, whether to put citrus in your weizen. As I read the book, I kept second-guessing whether he or I had made the right decisions--the problem being, there is no right decision. They are all roads the reader hopes will take you to a destination of understanding. But they necessarily look very different. One example. In the Beer Bible, IPAs get one of my shortest treatments. I figured it was one of the most well-known styles, so no need to go into a lot of detail. In Complete Beer Course, conversely, IPAs get by far the most ink. Joshua breaks them down into myriad sub-styles: English, East Coast, West Coast, Pacific NW, double, triple, black, white, red, rye, and Belgian. The book is written primarily for an American audience, and Joshua decided to try to bring meaning and coherence to all the different kinds of hoppy beers that may or may not be labeled IPA. Same material, very different decision. Aside from writing a 5,000-page book that includes everything from the Sumerian texts describing the different styles of beer brewed in the early 4500s (BC) to the genome of Meridian hops and the reason they add a bright quality to IPA, a writer has to make decisions about what to include. Since we made different decisions, I am too close to the subject to stand back and assess Joshua's. I can say that it's well-researched and fairly comprehensive; the writing is accessible and personal. Any reader, especially those new to the broader world of beer, will be able to pull a lot of information out of it. And maybe that's review enough. If you want more, you will probably need to consult a more dispassionate reviewer. A sampling are here and here and here. At the very least, stop by one of your finer bookseller's, page through it, and see if it's something you need to have on your bookshelf. The answer is likely to be yes.